Colors bring fun to one’s life. 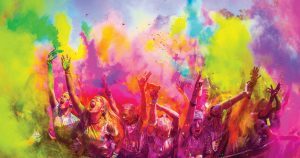 Color Run is an event series, revoling around the concept of a five kilometer free race that takes place in North & South America, some parts of Asia, Europe & UAE. The participants are showered with powdered colors at the different stations along the run. Holi is a similar festival, specific to Hindu religion but many other cultures are now adopting the trend. Wearing colored contact lenses is a concern at such festivals where you fear external particles getting into your eyes. Read below to prevent your eyes from any unpleasant occurrences & injuries at color run and other similar celebrations. First things first. Keep your protective eye wear at hand whether or not you wear contact lenses. Eyes must be fully covered by protective glasses so that nothing could get trapped in your eyes. Keep your hair tied tightly at the back and wear a brim hat to prevent dripping of colors and inks from hair wisps to the eyes. People who are visually impaired would like to ditch their glasses with contact lenses. Running with your glasses on, is never a good idea as it will keep you fidgeting. 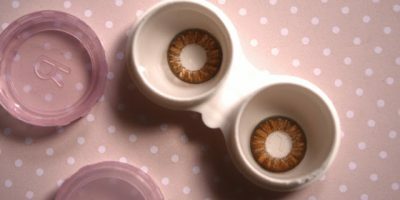 However it is imperative that the colored contact lenses that you wear at the run are disposed of as soon as the race is over. Only use daily disposable contact lenses to reduce the risks of infection. When in the sun; combine your sun glasses with UV interception colored contacts for an extra layer of prevention. Sun damage can cause long term disturbances to your cornea. Apply a thick layer of heavy skin emollients such as coconut oil especially around the eyes. 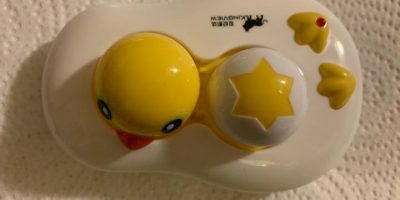 This will make it easier to wash off the color & help prevent getting the powdered colors into eyes. When wearing colored contact lenses in a run, don’t ever rub your eyes in case something gets into the eyes. Stay calm, clean your hands using instant baby wipes and remove them yourself or get someone’s ready help, where possible. Avoid using synthetic dyes as they contain heavy metals and acid that burn eyes & may cause irrevocable vision loss or corneal abrasions. 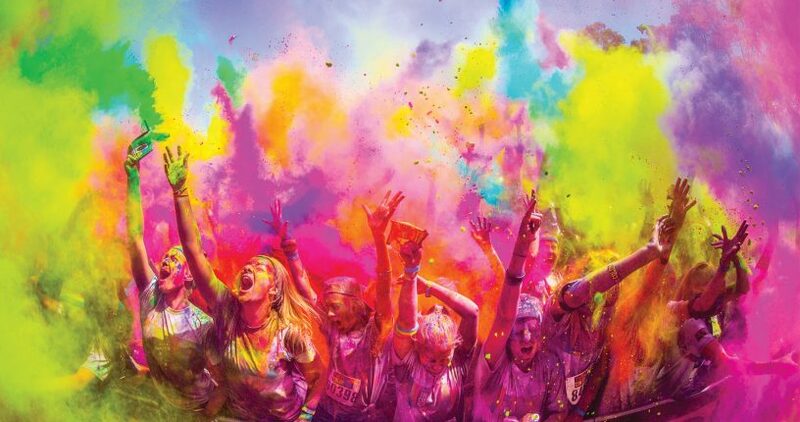 Color Run is fortunately a well-organized event where only food grade dyes made from corn starch are permissive to use. Playing safe is important especially when you are wearing contact lenses. Whilst throwing colors stay alert that you are not damaging someone’s eyes. In case of sudden unexpected occurrences wash your eyes with copious water to dilute the side effects of the irritant. Contact your eye doctor if inflammation persists.